Be curious as a cat when you explore the wonders of Kuching, regarded by many international tourists as one of the most exciting places to visit in the world. Literally means cat, Kuching is a modern city filled with vibrant and cultural elements. There is a perfect mix of modern structures and colonial landmark that will guarantee a breathtaking travel experience. Just a drive away, at the foot of Mount Santubong is the beautiful Damai Beach and Sarawak Cultural Village, a "living museum" of culture and heritage and venue for the annual Rainforest World Music Festival. The city prides itself on being one of the most multi-racial cities giving visitors the golden opportunity to taste diverse kinds of delicacies. If you like spicy food, you will be completely delighted by what Kuching has to offer. While here, don't forget to head to Batang Ai National Park, Bako National Park, and Gunung Gading National Park. Miri is Sarawak and Malaysia's first oil producing area. The country's first oil well was drilled here in 1910 and Sarawak Shell was given the sole rights to mining oil in Miri until 1954 when the onshore oilfields dried out. Today, the oldest oil well - The Grand Old Lady - becomes a national monument and a reminder of the humble beginnings of Sarawak and Malaysia dependency on this commodity. Miri is a popular shopping destination for Malaysians and Bruneians for its modern shopping malls and traditional handicraft centre, and the annual Miri International Jazz Festival is a huge attraction for music lovers. Mulu is also important for its archeological site. One major attraction is the Niah Caves where the oldest human remains in Southeast Asia were found dating back 40,000 years. One of the interesting features to look out is the grave sites with ancients coffins shaped as boats. Every year music lovers across the globe will throng to Miri to attend the annual Miri Jazz Festival. Ba'kelalan is the place to go if you want to get a taste of fresh local fruits. The rural town is located in the Bario Highlands about 3,000 feet above sea level. In the cool mountain climate, temperate fruits such as aples, oranges, and vanilla are grown. This rural town is populated by the Lun Bawang people from the Dayak tribe. Their rich natural heritage is a priceless treasure to its existing 1,200 inhabitants and 8,000 migrants, as well as visitors. Other adventures include jungle trekking and mountain climbing. 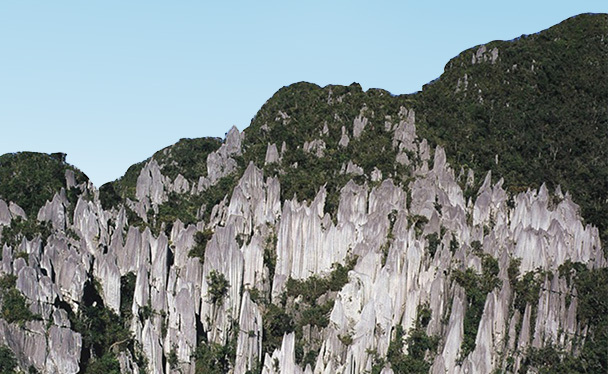 Sarawak's highest mountain - Mt Murud (2,650m) - is located in Ba'kelalan and gazetted as the Pulong Tau National Parks. Do as the locals do when in Bario and experience the friendly gesture of the Kelabit folks. Located very close to the international border between Kalimantan and Sarawak, Bario is a home of the Kelabits who were once headhunters. Today they are known for their friendliness and hospitality. The community lives on agriculture, mainly growing Bario rice. Other products of Bario include high-potash salt and its juicy pineapple. Nestled in the Kelabit highlands, Bario is perfect for hiking. The hikes range from lazy strolls to tough treks which require several days. If you a first time visitor here, you may find Lawas is pretty much a peaceful and quiet town. This small town is however a busy transit point between Sarawak, Sabah, and Brunei. Whether you are just stopping by or on a long holiday, Lawas always has something to offer for visitors and tourists alike. The Tamu Lawas is one of the most popular tourist attractions. Local products such as vegetables, fruits and sea products are sold in this market frequented by locals and the Bruneians. Other interesting places to visit are Punang Beach, Sungai Bangat Beach, Pa'Lelau in Merarap, Mount Murud, Kampung Air Terjun and Tanjung Resort in Kuala Lawas. Limbang may be just another passer-by town to those who pass by this small town to go to Kota Kinabalu, Miri or Brunei. But to enjoy Limbang, you have to do it like the local. Go for a mud bath in Kampung Meritam's mud volcanoes. The mud spring or the 'buak buak' as the locals call it, has been a place for the people to come and shower for fun. It is the only mud volcanoes in Limbang and while you are at it, mingle with the locals to learn more of what Limbang has to offer. A good month to visit Limbang is June during the Babulang festival. It is the largest and grandest of the many rituals and ceremonies of the traditional Bisaya community here. This festival is similar with the harvest festival celebrated by Iban. Highlights are the Ratu Babulang competition and water buffalo races. Long Banga is a settlement of the the Sabans, one of the smallest ethnic groups in Sarawak but bearing many similarities to the Kelabit tribes. Surrounded by lush rainforest, Long Banga offers a completely different adventure to travellers seeking for an alternative destination for hiking and trekking. There are number of jungle and mountain trekking excursions available in Long Banga which allow you to observe the lifestyle of Saban, Kenyahm and Kelabit tribes. Like other rural places in Sarawak, Long Seridan has several homestays where tourists can stay and enjoy the local jungle trekking, fishing and visiting Penan settlements. Long Seridan is a small village in northern Sarawak, amongst steep forested mountains and fast flowing rivers. For the adventure seekers, there are many trekking routes in Long Lellang that will lead you to other smaller villages. Each village makes a perfect stopping point for you to take a break and discover more about the place and its people. If you are lucky enough, you may be invited in for a coffee and a short break by the locals before you continue the walk. If you are in Long Lellang for a long visit, don't forget to make a stop at Meridong Gorge. The breathtaking waterfall at this gorge is only accessible by boat since there is no footpath. Marudi sits quietly on the Baram River in the north of Sarawak that borders Brunei and the state of Sabah. Its main attraction is the Brooke outposts, the beige wooden Fort House. The riverrine town is the largest town in the sparsely populated Baram district. It is the district administrative headquarters and has been since the days of the White Rajahs. Marudi is the cultural heart of Sarawak's highland tribesfolk, collectively called Orang Ulu. Best caving adventures can be found in Mulu as it possesses some of the largest and most spectacular caves in the world. The Gunung Mulu National Park is a must-visit place for cave explorers and also suitable for visitors who have no experience in caving. The Clearwater Cave, which has a river running through it, has the longest cave system in Southeast Asia. At the Deer Cave, the largest deer cave in the world, you can witness the daily flight of bats from the cave. The Sarawak Chamber, located in the Nasib Bagus cave, is the largest natural cave chamber in the world and is able to house the equivalent of 16 football fields or 40 jumbo jets. The Melanaus make up the majority population in Mukah. The small coastal town is a home to fishing community and also the main sago producing area in Sarawak. Just outside the town is Lamin Dana, a water village where you can learn about the Melanau culture. Kaul Festival that runs in April is a major event not to be missed when in Mukah. Celebrated by the people of Melanau, it is a spiritual celebration to appease the spirits of the sea after the end of each fishing session. Located in the heart of Sarawak, Sibu is a bustling and rapidly growing town. Garden city to be, the town is mainly poulated by the Foochow settlers originated from the Fujian Province in China. Sibu is a mixture of faiths, arts, and culture. Among the attractions are the Kong Temple with history dates back to 1870 and the Yu Long Shang Tian En Shi, a temple dedicated to three faiths - Buddhism, Taoism, and Confucianism. The Lembangan Market is the place to get a real taste of Sarawak with 700 stalls located along the Lembangan River. Don't miss the unique opportunity to shop for flying fox, squirrel, snake, turtle, snail, bats, edible jungle ferns and fruits.